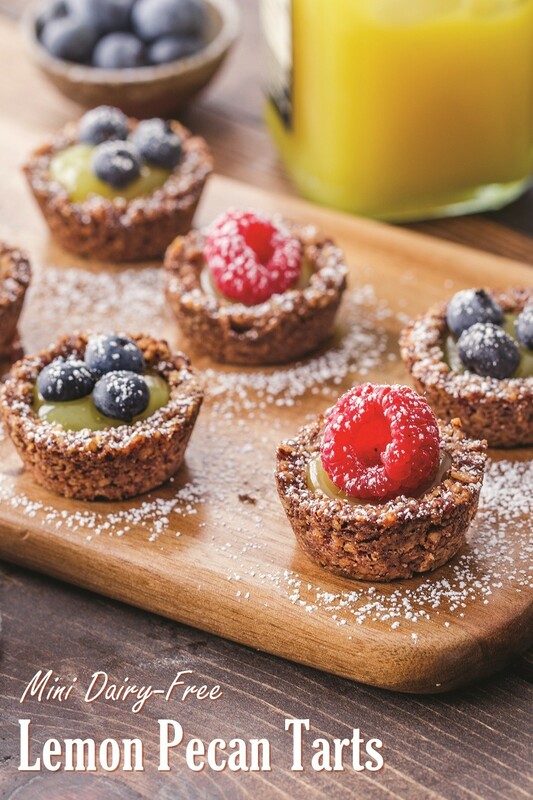 These adorable mini lemon pecan tarts have a three-ingredient pecan crumb crust and are topped with a light lemon filling and fresh summer berries. They’re ready to shine as an afternoon treat or for your next gathering. 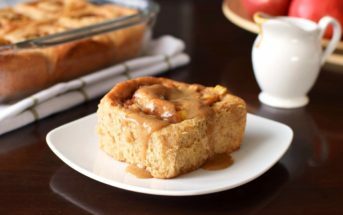 The recipe is naturally gluten-free, but we’ve also adapted it to be dairy-free. The original recipe calls for lemon curd, but most store-bought jars and recipes contain dairy (butter). So we use this wonderful dairy-free lemon filling recipe, which substitutes easily for lemon curd. If you prefer store-bought, we discovered that Gale’s Lemon Curd is made without dairy. Or you could opt for Duncan Hines Comstock Original Lemon Filling or Wilderness Lemon Creme Filling. All varieties do contain eggs. If you confuse eggs with dairy, you’re not alone. 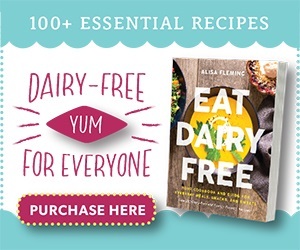 Read this post: Are Eggs Dairy? 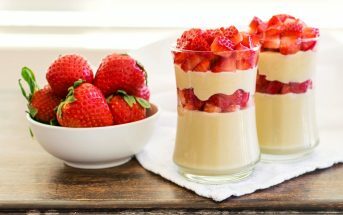 This recipe with photo was shared with us by AmericanPecan.com. 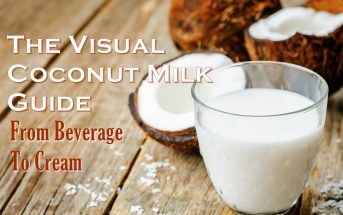 By ingredients, this recipe is dairy-free / non-dairy, gluten-free, peanut-free, optionally soy-free, and vegetarian. It doesn't get much easier than this 3-ingredient crust with light lemon filling and fresh berries on top! 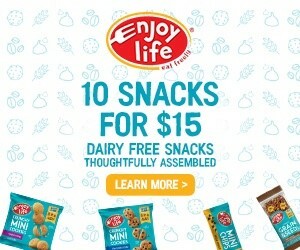 They're naturally gluten-free and dairy-free treats. Preheat your oven to 350ºF and line 24 mini muffin cups with paper liners. In a food processor, blend the pecans, buttery spread, and sugar until the mixture forms coarse dough. Scoop about 2 teaspoons of the pecan mixture into each muffin tin. Use a spoon or your fingers to evenly press the mixture into the bottom and up the sides of each muffin cup. Bake for 12 minutes, or until the crusts are golden brown. Let the crusts cool completely before removing them from the pan. Spoon 1 teaspoon lemon filling into each crust. 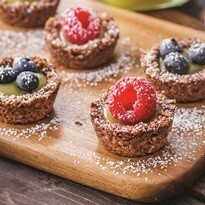 Top each mini tart with one raspberry or three small blueberries. Dust with powdered sugar, if desired. Oh, my! These look incredible. My grandmother is crazy about pecans, so this will be perfect to make for her. I love anything I can make in my mini muffin tin! Looks yum! These are so cute and how easy to whip up for a summer bbq. I wonder if almonds would also work. 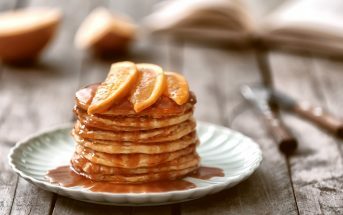 I am crazy about this recipe and look forward to trying it out!